Made with organic milk from farms with high welfare standards. Good FoodAn organic soft cheese, with a soft, spreadable texture and a mild flavour. Good FarmingOrganic farming promotes high animal welfare standards and encourages animals to forage and graze as nature intended. 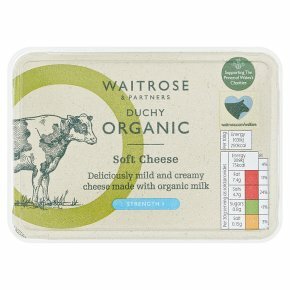 An organic soft cheese, with a soft, spreadable texture and a mild flavour.